I have many questions, but two come to mind... do you know where is Cnocnofannaig Cemetery? 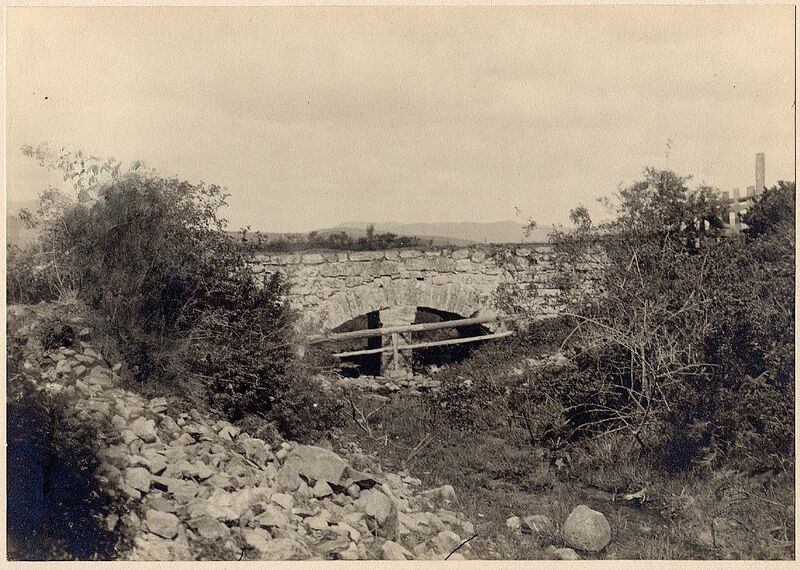 Was there a Knocknafanaif Church? The origins of the Knocknafanaig cemetery reference comes from a letter written in the early 1970s by a descendant of Alexander Munro (abt 1777 – 1844) and Elizabeth Ross ( abt 1788 Urquhart – 1879 Tore of Culbokie). I thought it was worthwhile to ask if there was indeed a Knocknafanaig Cemetery. The six children I have found for Alexander Munro were all born in Knocknafanaig and all baptised by the Reverend John McDonald. I thought that this meant they were married in Knocknafanaig and not in the Old Urquhart Church. I think I can shed some light on this. It's likely that the marriage, still conducted by the minister, took place at home rather than in the parish church, and would still have been recorded in the parish records. My guess is that the banns might still have been read in the church, even if the ceremony yook pace in the home, but I'm not entirely sure about that. Home-based weddings were quite normal in Scotland in the early 19th Century. Here is a link to an article about this: https://www.gla.ac.uk/schools/socialpolitical/research/economicsocialhistory/historymedicine/scottishwayofbirthanddeath/marriage/ . It's probably a hangover from the Church of Scotland distancing itself from weddings at the Reformation for various reasons, and probably affects why ministers in Scotland are still able to conduct a marriage literally anywhere in the country (if you can persuade them to! ), unlike England where weddings are legally confined to church and other recognised buildings. 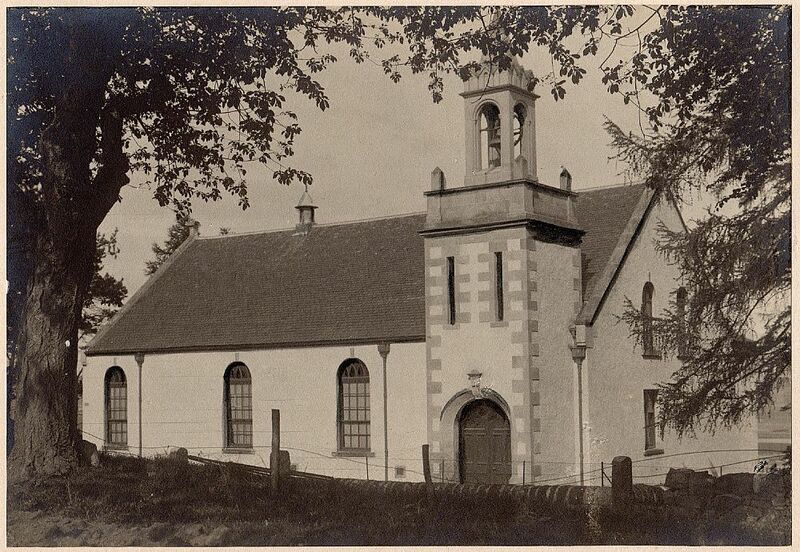 There certainly wasn't a separate parish church so close to Urquhart, though a splinter group might well have used a private house or barn, just as the Free Church used Ferintosh Burn. It may well be that confusion over home-based weddings, and the assumption that there must have been a church there, led to the corresponding assumption about burials. The funeral service usually took place at home, with the burial in the churchyard (though I do know of 'big houses' having some burials in the grounds). The Church of Scotland also distanced itself from funerals. The minister only began to be involved in a home-based funeral after a couple of hundred years, and church-based funerals in the C of S are surprisingly recent. Here's another link about this https://www.palliativecarescotland.org.uk/content/publications/workshop-a-eddie-small.pdf . 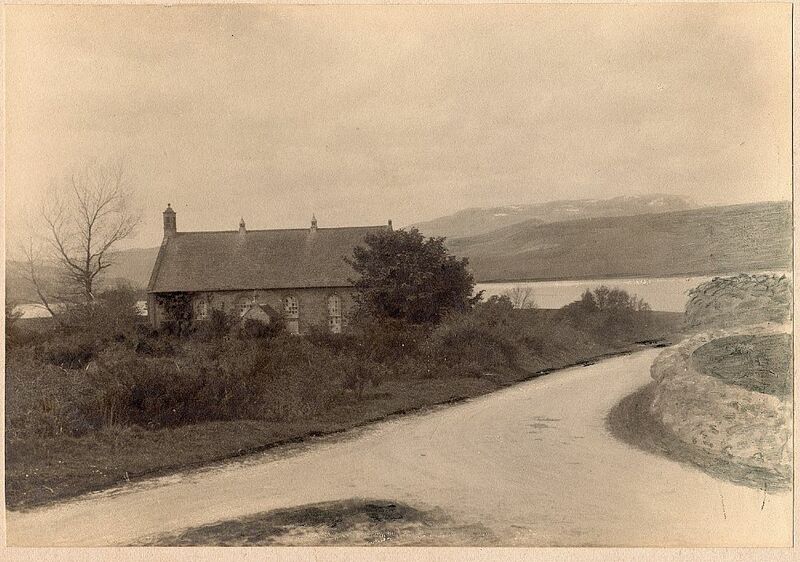 I was hoping one of your members could identify some photographs of the Culbokie area taken in 1913. I am interested in knowing whether the buildings are extent and where they were/are located. 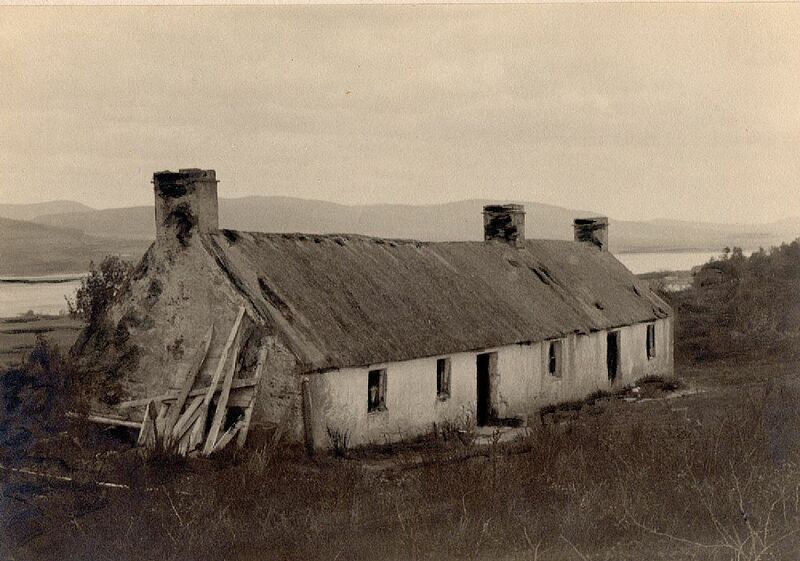 The photographs [shown in the Gallery at the foot of the page] were taken at the request of my great-great aunt Dr. Annie Ross who was visiting Culbokie in 1913 to discover the origins of her father and my great-great grandfather Thomas Ross. I hope to retrace the steps Annie Ross took in 1913 and discover for myself the origins of the Ross family. 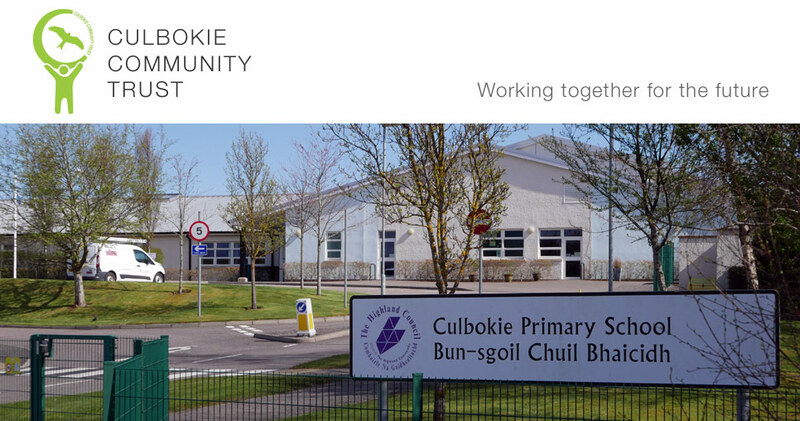 I have lots of data for the Ross family and would like to connect places names with the 1913 photographs and current day Culbokie. I confess I am completely flummoxed by the variety of place names. I suspect some places were known by many different names. I have tried to locate places on Google Maps but with limited success. Thomas Ross was the last of 9 known children born to William Ross (abt 1782-abt 1851) and Isobel Robertson (- 12 Nov 1830) of Tore, Urquhart. Thomas was born 12 Nov 1830 in Tore the day his mother died. 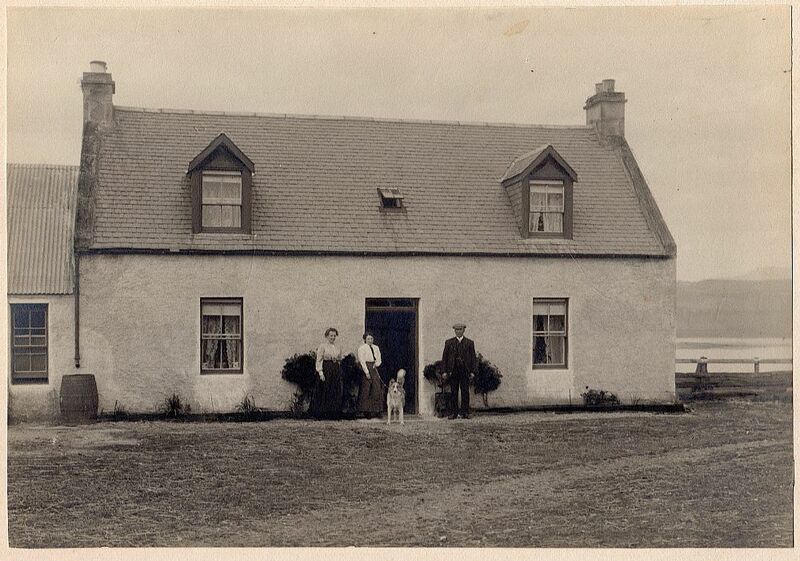 The 1841 census shows William Ross and children Donald, Ann, and Thomas were living at Clashcarne, Urquhart. In the 1851 census William Ross is living with children Ann, Donald, William, and Thomas in Culbokie. In 1852, Thomas Ross followed his sister Christine Ross Munro to Ontario, Canada who had emigrated about 1846. Thomas' sister Christina Ross married her first cousin Hugh Munro. Hugh was the son of Alexander Munro (abt 1777-1844) and Elizabeth Ross (abt 1789-1879). Elizabeth was the sister of the William Ross (abt 1782-abt 1851). The 1841 census shows Alexander Munro was the Tacksman at Crochar. Christina Ross and Hugh Munro spent about 20 years in Ontario, Canada then returned to Scotland, travelled to New Zealand, lived in Australia for about 3 years and then back to British Columbia, Canada. I am fascinated by these adventurers! 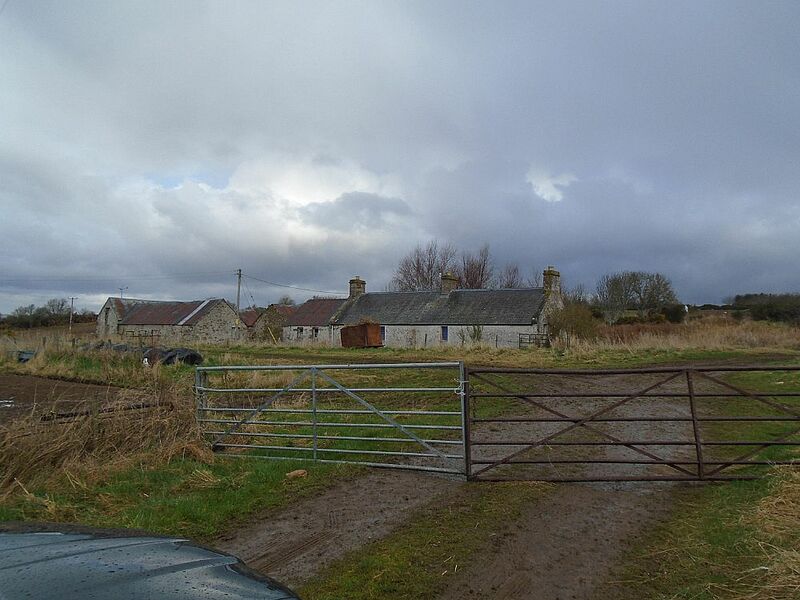 Siblings Ann Ross (1811-1874 Clashcairn, Findon) and William Ross (1822-1888 Tore of Culbokie) lived together at 5 Clashcairn according to the 1871 census. Could that be the house in the second photo attached? Elizabeth has now provided a Descendant Chart of the families of William Ross and Elizabeth Ross. It is available here. The photographs below were taken at the request of Dr. Annie Ross (1872-1966) of Canada. 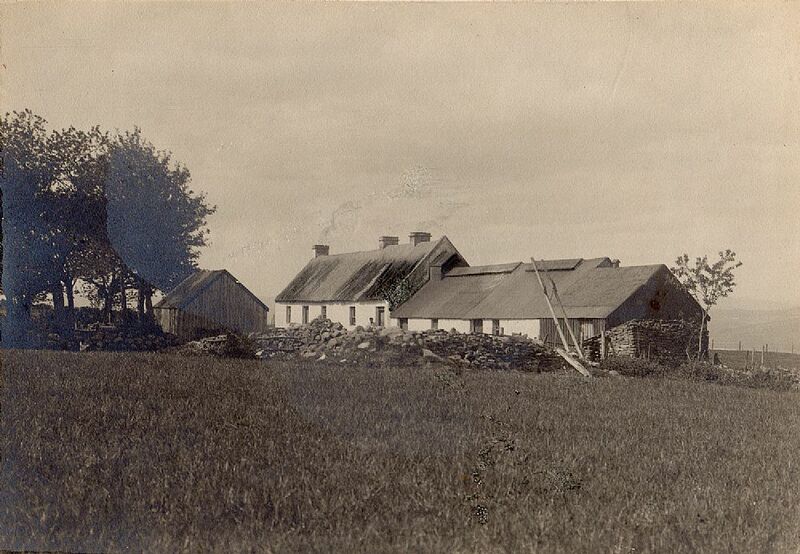 Dr. Ross was visiting the Culbokie area in 1913 to discover the origins of her father Thomas Ross who was born at Tore, Parish of Urquhart & Logie Wester on November 12, 1830, emigrated to Canada c1852, and died there on March 17, 1915. Photographs displayed here courtesy of Elizabeth A. Jorgensen. 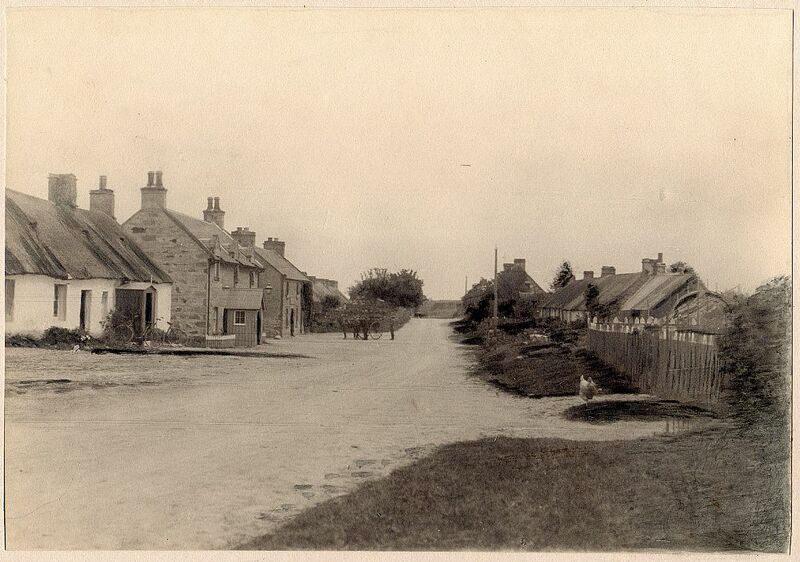 The 1913 photographs were printed by Urquhart, Dingwall & Tain. I wonder if this was the studio of Frederick Walter Urquhart. Perhaps he was the photographer! I would love to know why Thomas Ross left such a beautiful spot. I have a note in the family archive that said Thomas Ross emigrated with a school friend named Roderick McDonald. 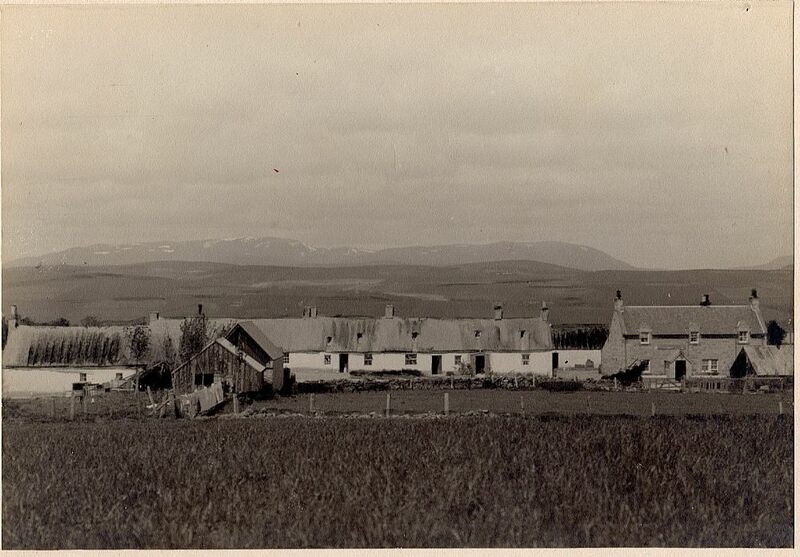 The farm his father was working fell on hard times and was taken over by the Urquhart family. Thomas also worked in a nearby quarry. I suppose his sister Christina and her husband Hugh Munro convinced the boys to join them in Canada. Amazingly, all of Hugh Munro’s siblings emigrated. I have searched for a ship’s manifest with Thomas Ross’ name, but without success. As the youngest son, I guess his opportunities were limited. Thomas could never hope to farm his own land in the Black Isle. Thomas Ross achieved some success in Canada. He cleared and farmed 200 acres of wilderness. He was known as a good judge of cattle and horses. Thomas and his wife Elizabeth Ann raised five children who valued education and service to others. They served the new country of Canada in a number of ways. Thomas' eldest son was first a chemist then a Doctor of Divinity (Presbyterian). Thomas' eldest daughter was a nurse before having a family and farming with her husband. His youngest daughter was a physician, a rare occupation for a woman in the first half of the 1900s. Thomas' second son at the time of his retirement was a provincial Deputy Minister of Education. In his younger years, he was sent to the Yukon to organise the education system for the territory. He was awarded an O.B.E. Thomas' youngest son was a lawyer and a provincial Deputy Clerk of the Supreme Court. Both the second and third sons were pioneers of sorts living in what was called the Northwest Territories before it was divided into the western provinces. This is Badenerib in April 2016 taken looking East with the A9 at my back. Puts into doubt the suggestion of the previous photograph. Any thoughts? 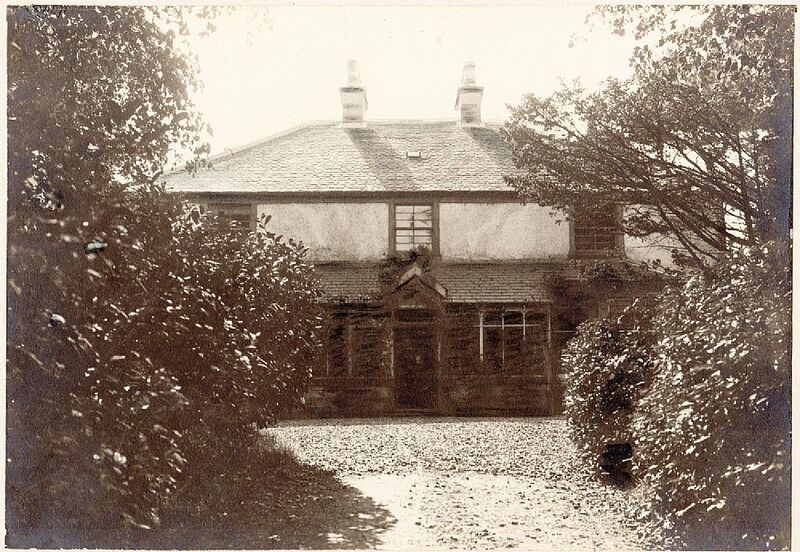 Free Church manse - a view not possible today due to the thickness of the avenue of trees. 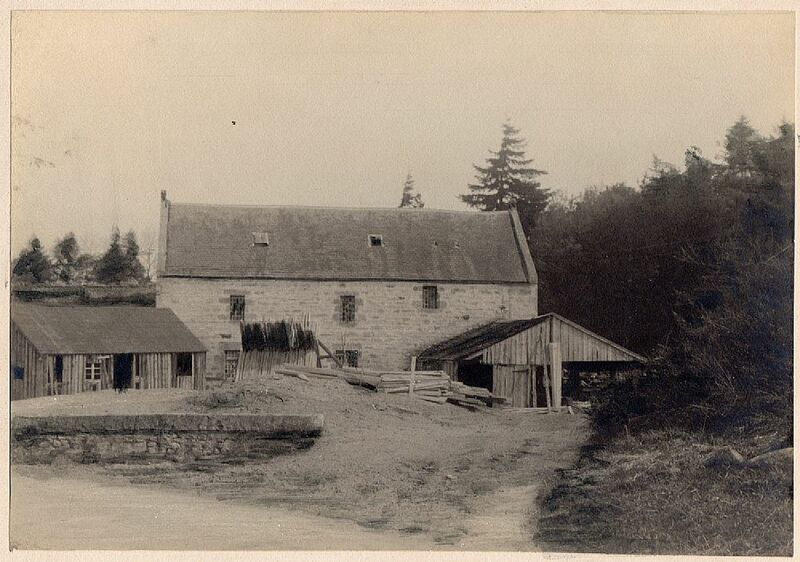 Findon Mill - apart from the water colour this is the only known photograph of the complete building. The 3rd chimney is from the rear extension.